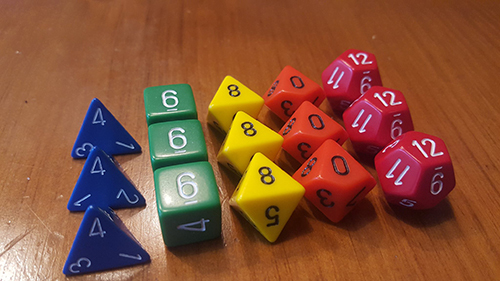 Both Polyversal Base Games include one set of the color-coded Polyhedral Dice shown here, necessary to play the game. Some players prefer to have their own set of dice. This extra set matches the dice included in the boxed base games and is offered as an accessory. The dice are high quality and supplied by Chessex.